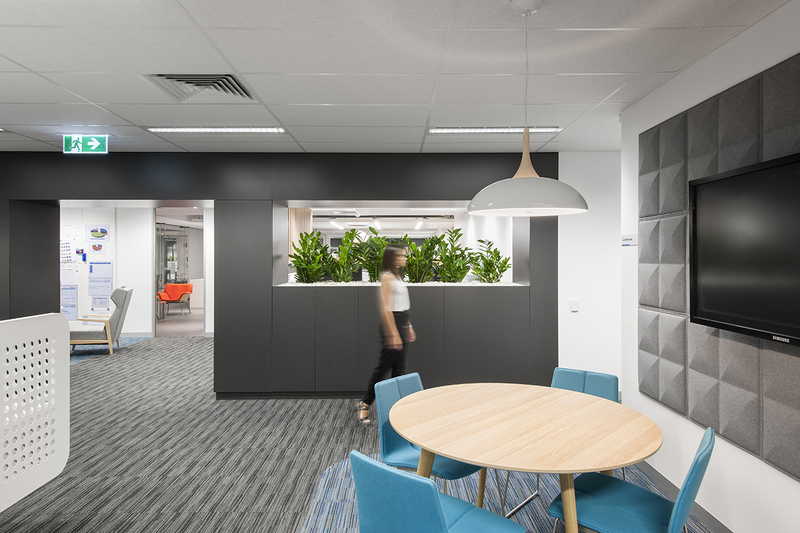 HomeStart Finance is a State Government organisation focused on making the dream of owning a home a reality for South Australians. 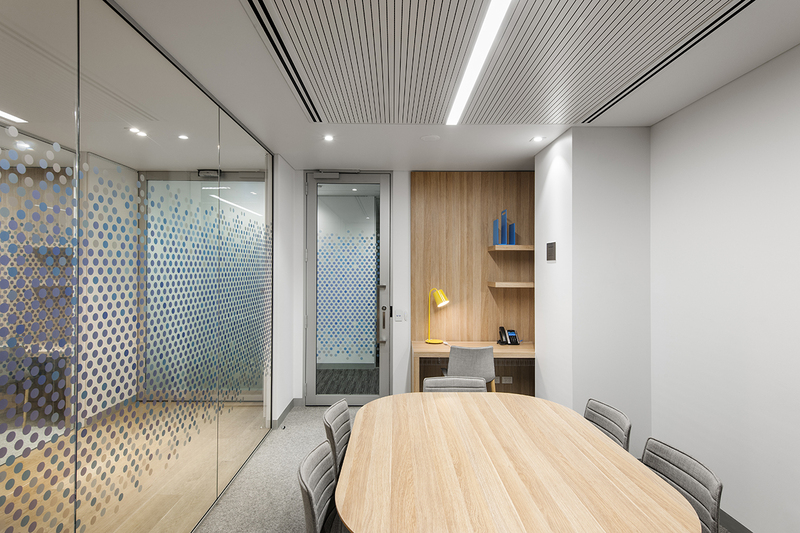 To reflect the company ethos, the goal of the fitout was to be professional whilst friendly and inviting to both visitors and staff. 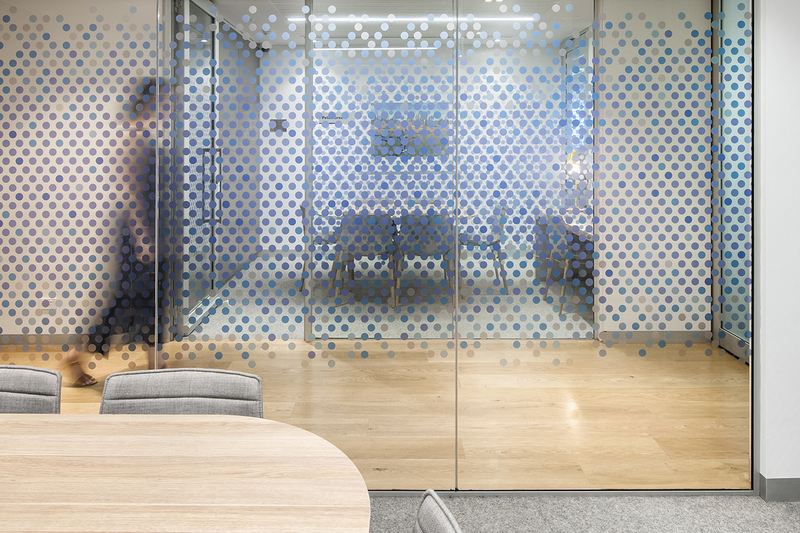 The new corporate headquarters facilitated the co-location of teams previously split over multiple floors. 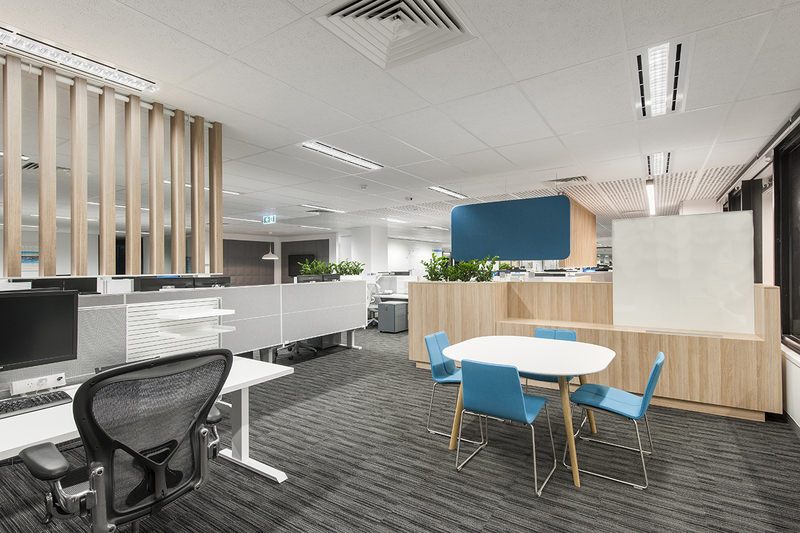 The fitout is devoid of any closed offices with staff of all levels, from call centre staff to management, all seated in open-plan. 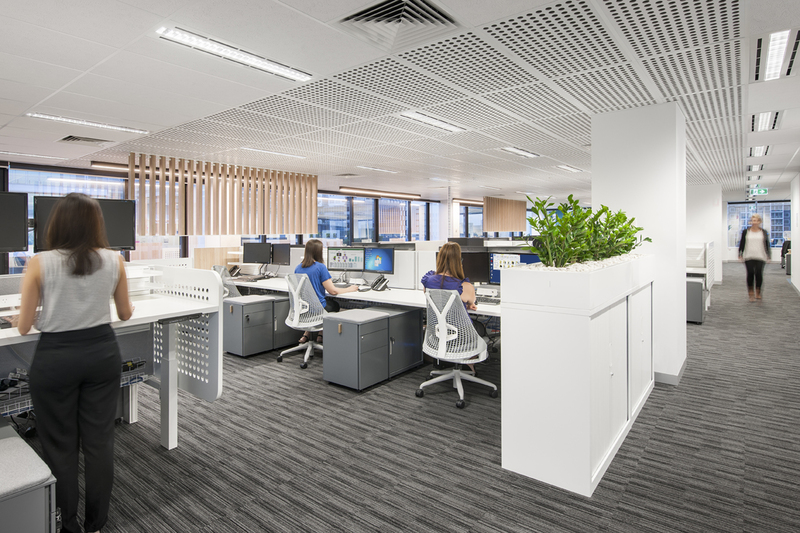 Block planting, custom suspended slats and acoustic blades have been employed to zone the open space. 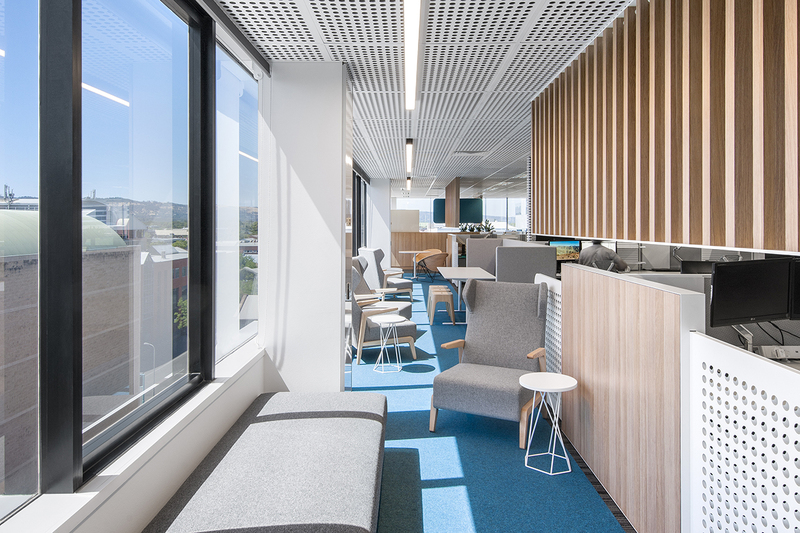 The work areas are connected by a centralised staff café and lounge whilst shared meeting spaces, breakout zones and acoustically separated quiet rooms have been dispersed throughout to provide flexible working spaces and Adelaide CBD views accessible to all employees. 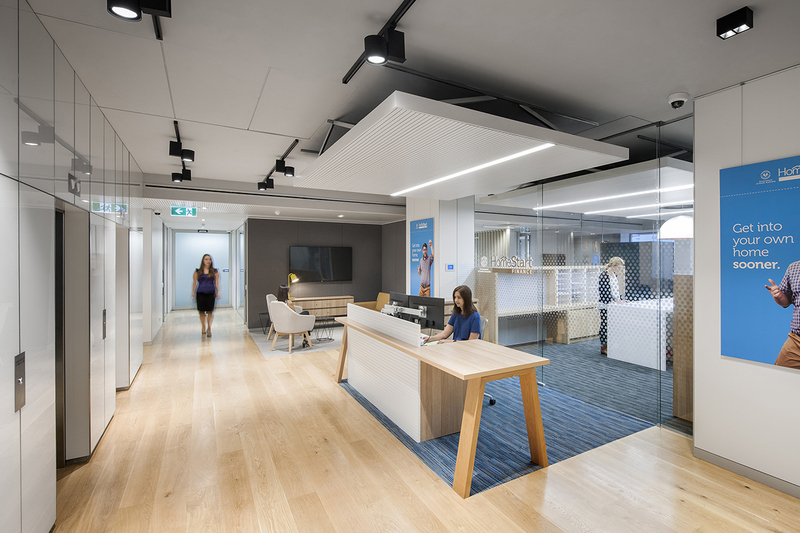 The open and transparent fitout promotes better interaction and accessibility between staff and is homely and welcoming to a wide range of visitors and corporate clients.